I have tons of experience I have been certified w/ AAPC since 1999, I have over 16 years of billing, collections, insurance and coding experience! I have about 5 years of prior supervisory experience. I am with my current employer for 5 years now and have decided to look for a new position. I have coded many specialties and am currently doing E/M and Surgery & Trauma Coding for Pediatrics and occasionally help with Adult Surgery & Trauma. I have been a remote work at home coder for the last 3 years and would be interested in either a remote or an in the office position. I have also consider doing some audits sort of freelance. Certified Professional Coding Specialist, credentialed with American Academy of Professional Coders since 1999. Over, 16 years experience in every aspect of coding, documentation, medical billing and collections. I am a dedicated coding professional with strong organizational and excellent communication skills seeking a full time coding position with new challenges and opportunities for growth and advancement. Coding Specialist I/Remote Coder: Performs E/M and procedural coding for Pediatrics Surgery in the section of Surgical Sciences. Under VMG I have also coded for General Pediatrics, NICU, Newborn Nursery, Pediatric Cardiology, Pediatric Surgery, Pediatric Trauma and all consulting services. Also, cross trained to cover for adult trauma, SICU, and General Surgery. Reviews chart note documentation and abstracts appropriate procedural and diagnosis coding. Query physicians for missed documentation. Educate physicians on Evaluation and Management and Surgery guidelines and documentation requirements. Meets or exceeds all VMG, Pediatric Surgery and Section guidelines for Coding Specialist I in regards to lag days, production requirements and continuing education requirements while maintaining a 99% accuracy rate on quarterly audits. Charge Entry Coordinator: Supervises charge entry team of 5-7. Keyes and tracks all charges for Hospital Based and Specialty Billing clients. Assist clients with coding and documentation requirements questions. Assist A/R team with questions regarding insurance denials, related to coding. Developed and implemented an audit for quality assurance for the charge entry team and implemented processes for new and prospective clients. Developed balancing procedures to ensure all charges are accurately balanced. Ensures that goals and deadlines are met for our (3) day turnaround in charge entry. Encouraged team member's to pursue coding education for personal growth, including CPC credentials. Participates in management meetings, schedules educational seminars and conferences with clients. Assist director with all aspects of team management. Coding Specialist: Performs chart and E/M audits for physicians and educates physician and staff on documentation requirements. Educated physician's and staff using audits, newsletters, coding hotline and coding classes. Provides fee and reimbursement analysis. Recovers lost charges during audit process and implements balancing procedures. Educate physician and staff on coding updates. Updates and maintains system files for ICD-9, CPT and fee schedules on Promed System. Supervisor/Systems Operator: Supervises 10-12 staff members through daily functions of claims processing. Assist Coding staff with coding questions, codes inpatient charges for physicians. Maintains Promed system files for ICD-9, CPT and multiple fee schedules. Prepares action plans to reduce A/R. Implements collections policy and procedures. Reviews and approves refunds. Correctly performs and supervises daily coding, charge entry, balancing, posting batches, and insurance follow-up and training new employees. I received a promotion into computer operator administrative position. Batch processes claims, electronic files, audit trails and remittance advices, month end statements and reports. Purchase new hardware and assist with set up for new facilities, including data bases builds and copies. Works closely with Computer support vendor. Patient Account Representative: Accurately performs charge entry, accounts receivable, insurance billing and follow-up patient collections and calls. Responsible for specialty practices, General Surgery and Radiology. 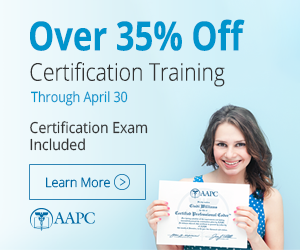 Certified Medical Coder: A.A.P.C. 1999 to present, Anesthesia Specialty Certification in 2003. Chapter Secretary: Birmingham South Professional Coders 1999-2001.